RBH Sound has collaborated with i.Tech to bring you the ProStereoTM H2, the first in-ear headphone featuring 24 bit high definition sound though Bluetooth® connectivity using both Qualcomm's aptX‑HDTM* and Sony's LDACTM† technologies. The H2 also uses a built in AKM+ 32 bit DAC/Amplifier with a 384kHz sampling rate to reproduce the audio signal with the highest resolution possible no matter what Bluetooth® audio codec is being used by your connected device. 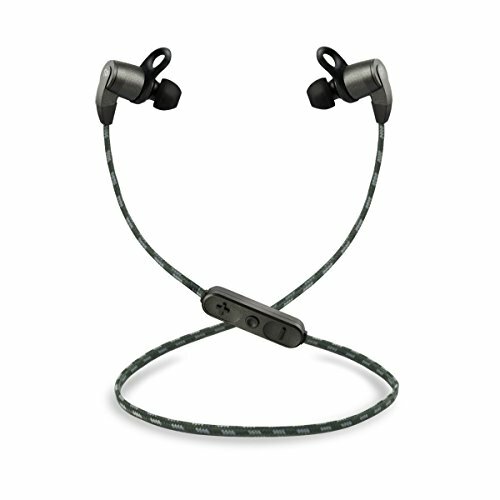 The result is the best sound attainable in a Bluetooth® in-ear headphone. You'll be amazed at the detail and dynamics of the full range music produced by these in-ear monitors. The RBH edition of the ProSteroTM H2's includes specifically fitted ComplyTM foam and SpinFit® silicone tips that extend frequency response and improve isolation and comfort for an unparalleled listening experience up to 10 hours with a single charge. True 24-bit HD Audio, AptX-HDTM* @ 48kHz sampling, LDACTM† @ 96 kHz sampling. AKM+ 32 bit 384 kHz DAC/Amplifier outputs audio at the highest resolution for all Bluetooth® codecs. Compact, lightweight, portable design for easy traveling and comfort during light sport activities. IPX4 rated sweat and rain proof. If you have any questions about this product by RBH, contact us by completing and submitting the form below. If you are looking for a specif part number, please include it with your message.